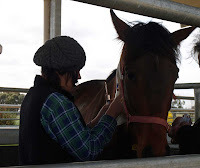 My recent visit to Charles Sturt University coincided with an experiment being carried out by a PhD student, Briony. 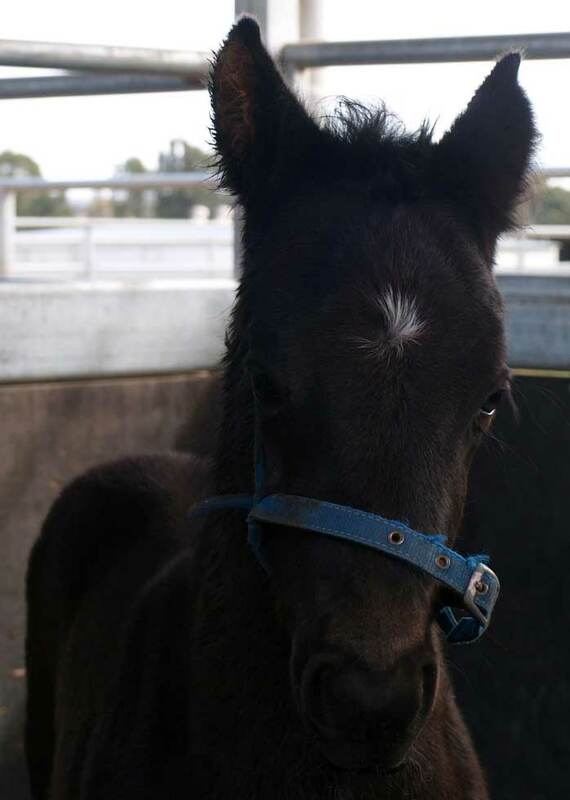 She is researching the effects of kisspeptin, a protein that affects hormone production and may be able to be used to better control the breeding cycles of mares. Its whimsical name comes from Hershey's Kisses, because it was first identified in Hershey, Pennsylvania, also the home of the chocolate. 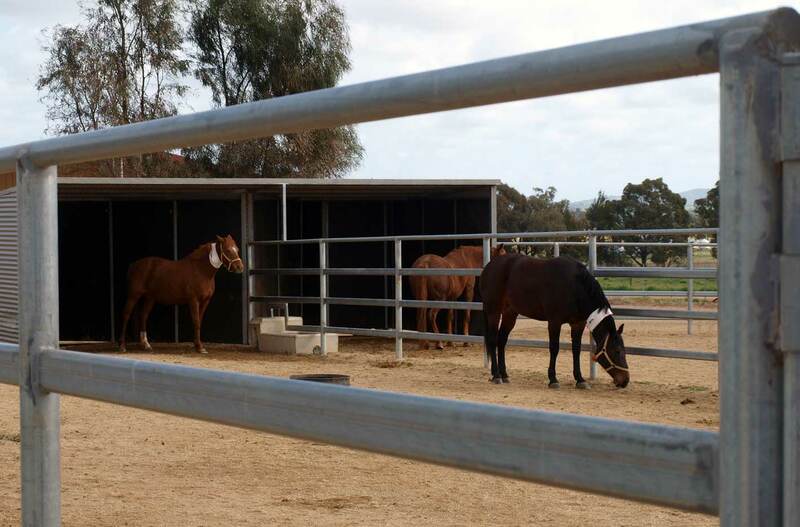 The horses used in this experiment have to have blood taken for testing every few hours, to monitor the levels of hormones. 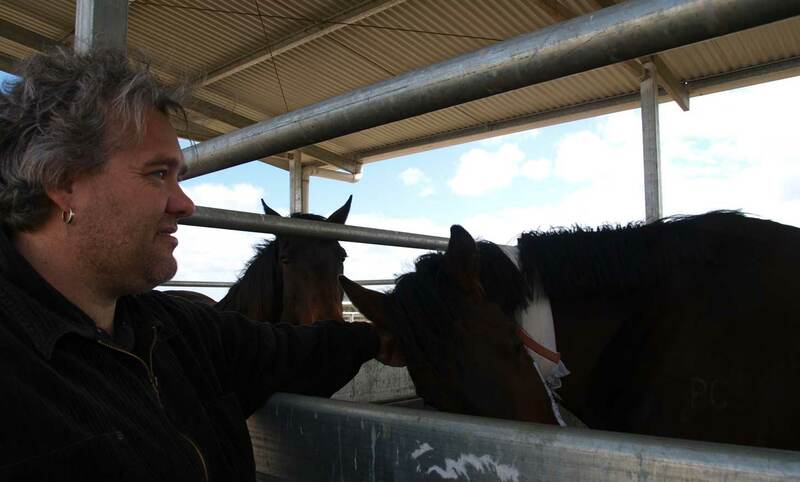 They are implanted with a cannula to make this easier for the scientists and less stressful for the horses. Dr Adam Hamlin greets one of the subjects with a friendly pat in the picture at left. Briony obviously loves horses and talks gently to them as she works with Adam to take a blood sample. 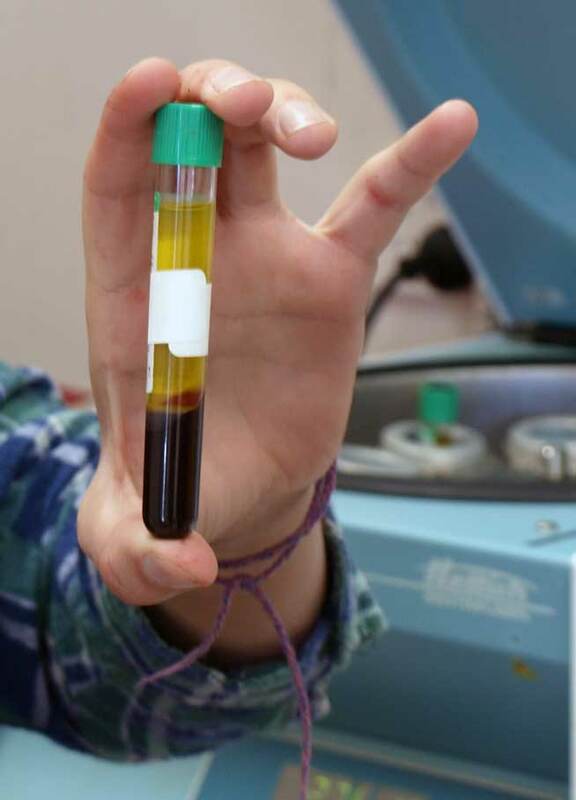 After spinning the sample to separate the red blood cells from the plasma, the plasma is drawn off and frozen for later testing.